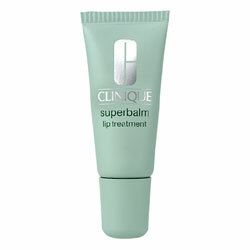 Entertainment and Fashion Galore: Effective Lip Balm from Clinique! Effective Lip Balm from Clinique! I bought this clinique lip balm months ago and this is really effective. This small tube last quite long. I am planning to buy another one after this one. So far, it has still something in it. So if you need lip balm/gloss that will help protect against dryness specially during winter time then I can recommend this one. Just give a try it doesn't cost much. This entry was posted on 1:17 PM You can follow any responses to this entry through the RSS 2.0 feed. You can leave a response, or trackback from your own site.